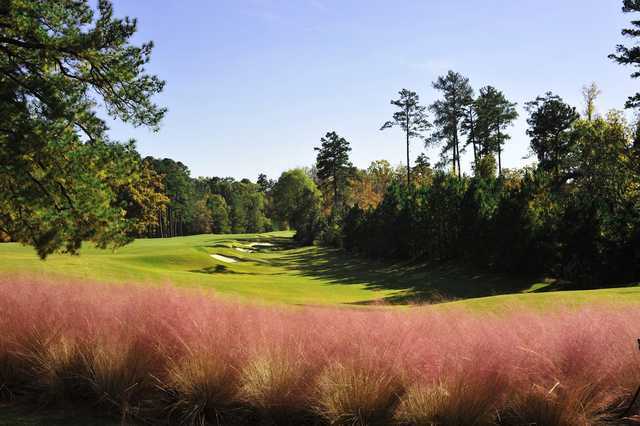 UNC Finley Golf Course is one of the top 20 collegiate courses in the country. 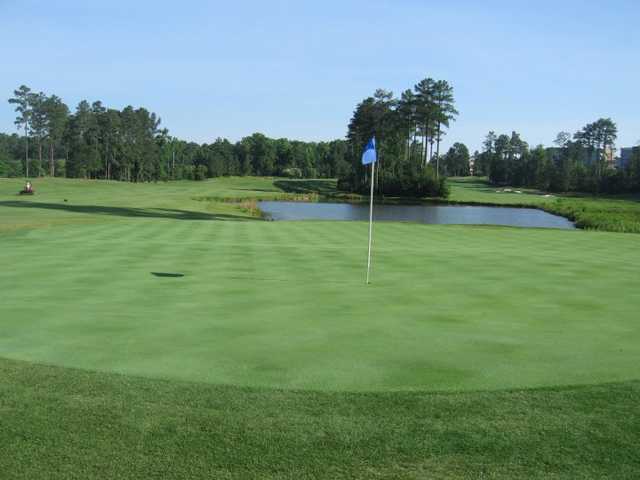 The club offers a well conditioned comprehensive facility with a driving range, putting green, and chipping. 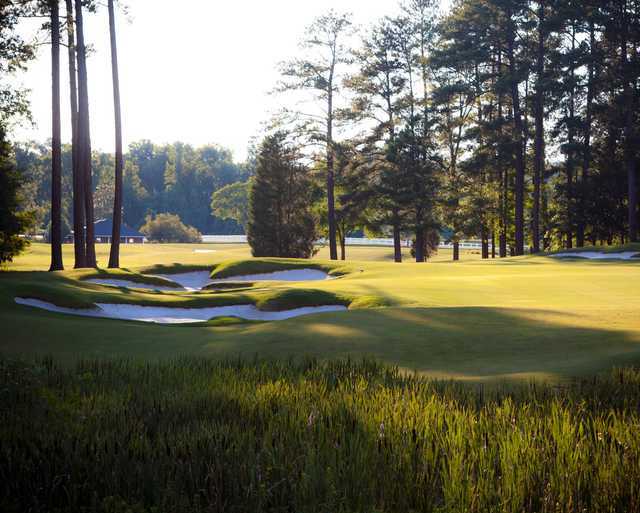 Tom Fazio designed this challenging layout that is diverse enough to appeal to players of all skill levels. He included his trademark false fronts and greenside bunkers. To keep the golf course approachable, there are several different ways to play the bunkers and there are numerous risk-reward opportunities. 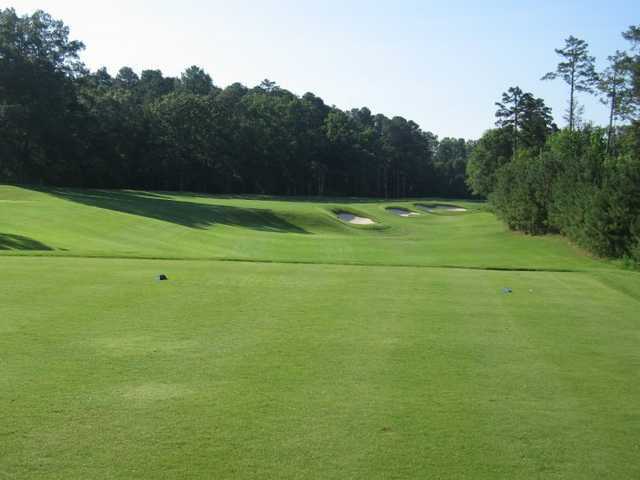 Seven sets of tees ranging from about 5,000 to 7,300 yards make the course even more versatile. The 15th through the 17th are a beautiful stretch of holes that provide a formidable test as well. 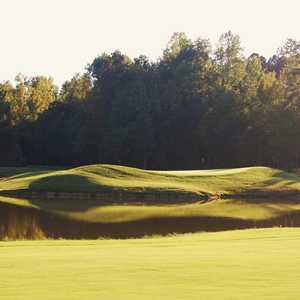 The excellent conditions are another feature of the UNC Finley golf course that has made it popular. I played the course recently for the second time in a year and it is a great course in great shape. However, upon entering the pro shop you get the feeling you are interrupting a funeral. The staff does not greet you at all and barely talks to you other than to take your money. Southern friendliness is not you will not find here. The staff needs a course in public relations!!! Just love this course. Love the design. The landscaping is fantastic. Beautifully landscaped & very well maintained. 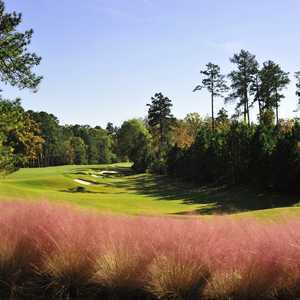 Fazio influence is evidenced throughout with hazzards present but not necessarily in play on each hole. 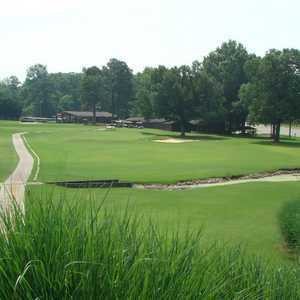 Sand in bunkers was best of any courses in piedmont NC; clean, consistent, playable with good thump. Many tees making course palyable for all levels. Holes 13-18 are particualrly challenging & scenic. Friendly cooperative staff. Better bang for the buck than Duke U course. If you have a choice play Finley. Course is relatively flat and easily walkable. New clubhouse looks near to completion.